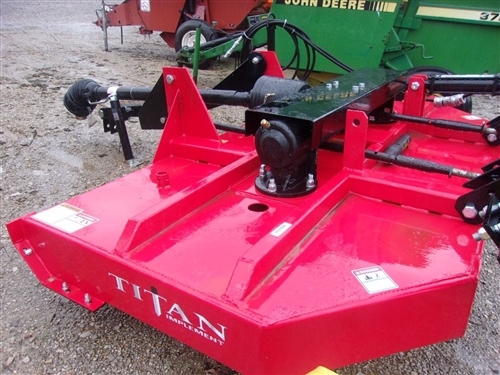 New Titan 8 ft. HD Cutter with Slip Clutch and pull type for better ground following. 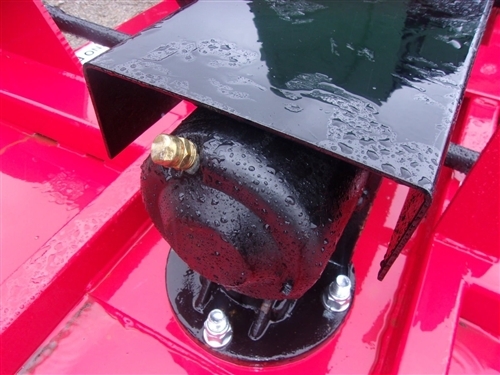 10 Guage Deck -- Welded All Around. 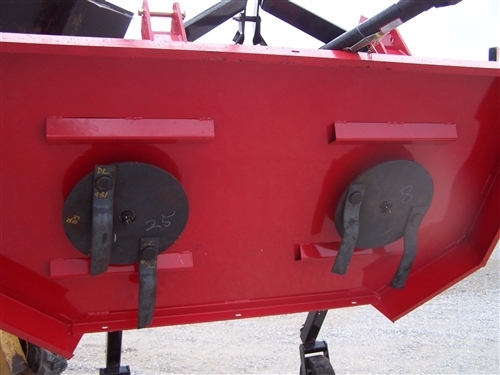 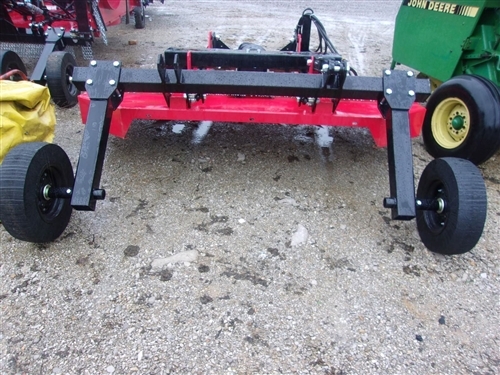 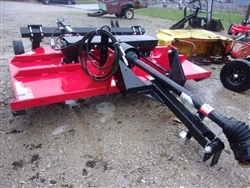 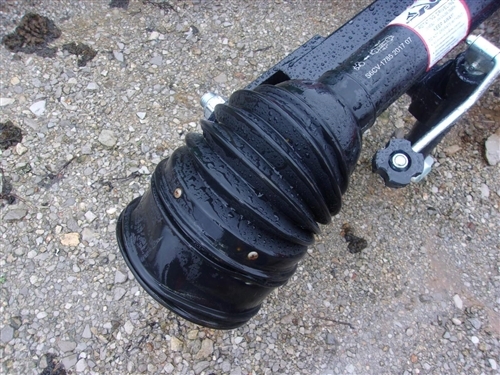 Pull type hitch with self leveling front and back. 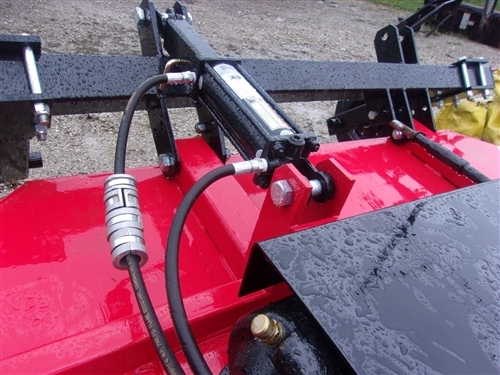 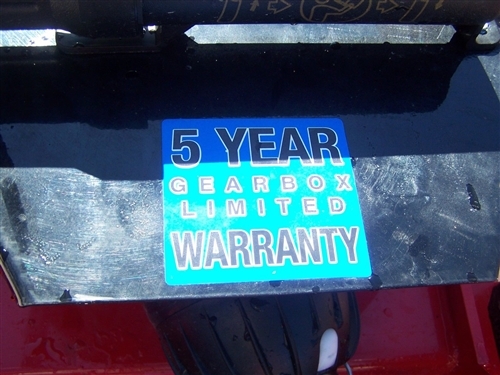 Minimum HP Requirement 42 pto hp. 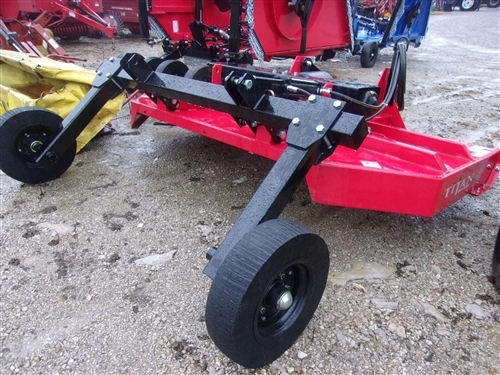 Cutting Width 96" Transport width 98"
Laminated Tail Wheels with Hub Bearings with grease zerks.